For a male lead, use keys A, Bb, or B. For a female lead, use keys E, F, or G. G is included for use with a capo. This is a full backing loop which includes drums, bass, pads, piano, and electric guitars. Also included is a custom click track with vocal cues. If you’re leading from acoustic guitar and want a full band backing you, this is the loop for you. 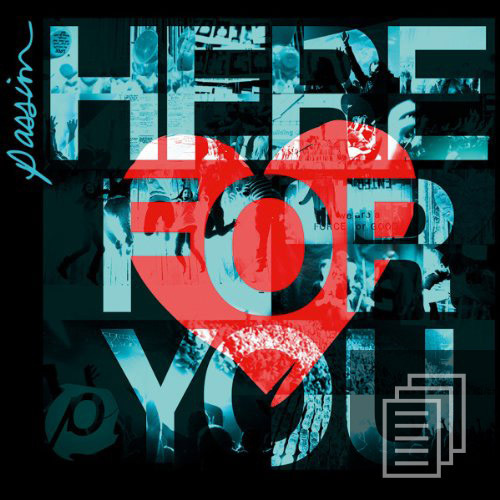 I recorded and arranged this to sound very close to the Passion: Here For You album version. Brian, just wanted to say thanks for the tutorials. I love your sense of humor as well. I am just learning guitar, I have played keyboard for years when i was younger. Anyway, so I have been working on my chord progressions, but you make look so easy. I am sure it wasn’t easy for you when you started up, but thanks for the encouragement. Thanks for stopping by! It’s definitely difficult in the beginning, but the longer you keep at it the easier it gets. I played piano a bit, too before I started on guitar. Playing piano gives you a head start – your finger dexterity is better, and you already know the basics of music theory. Good luck! 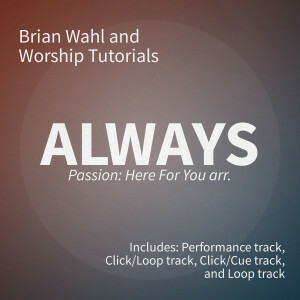 Brian, thanks so much for taking time to do these tutorials, they’re awesome, love this song. I’m just starting out on guitar and it’s really nice to see the songs layed out like this, I was wondering though if you could possibly bring back the chord diagrams below the videos, it really helps a lot to see the chords layed out like that. Brain, what like notes are you using is it e,a,d,g,b,e? what are the notes for the lead? i wasn’t quite able to catch it in the video. also while i dont find much trouble when practicing this song, i find my fingers sort of trip when transitioning to e and d, do you have any tips for that. GOD Bless you Brian! Thank you for the tutorial video.